DECADES of delays in establishing inquests into state killings in Northern Ireland remain a “serious and extensive problem”, raising questions over whether coroners’ inquests are “structurally capable” of providing grieving families with an effective investigation into the deaths of their loved-ones, it was ruled today. 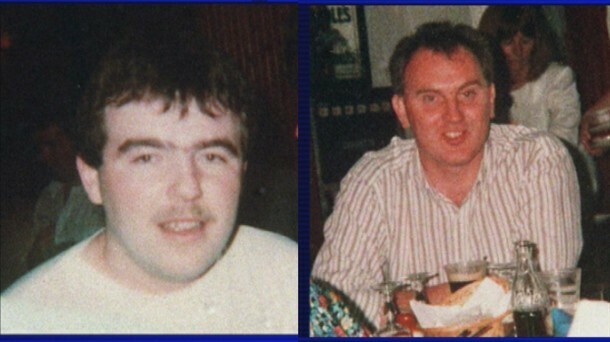 In what is being regarded as a landmark ruling the European Court of Human Rights (ECHR) said that the British Government had violated the Article 2 rights of the families of IRA men Martin McCaughey and Dessie Grew by failing to hold an inquest into the deaths for more than 20 years. The IRA men were shot dead by SAS soldiers at a farmyard near Loughgall in Co Tyrone in October 1990. ECHR judges considered it “striking” that the IRA men had been killed in October 1990 but that an inquest into their deaths did not begin until March 2012, more than 21 years later. The Detail can reveal that there are currently 34 similar outstanding inquest cases which have faced protracted delays, involving the deaths of 61 people. ECHR judges said that the manner in which key issues in these cases are routinely dealt with “inevitably significantly delayed” investigations and inquests into security force killings but also called into question the ability of coroners’ courts to deal with state killings. “The fact that it was necessary to postpone the applicants’ (Grew/McCaughey) inquest so frequently and for such long periods pending clarifying judicial review actions demonstrates to the court that the inquest process itself was not structurally capable at the relevant time of providing the applicants with access to an effective investigation which would commence promptly and be conducted with due expedition,” they said. The judges said that protracted investigations into killings carried out by security forces has been marked by major delays which “remain a serious and extensive problem in Northern Ireland”. The Supreme Court (formerly House of Lords) was told that in July 2011 there were 38 legacy inquest cases, which were outstanding or had only been completed. Of these, five of the deaths had taken place in 1971/1972 with only one inquest having taken place (in June 2011); 8 other deaths occurred in the 1980s and while provisional dates had been set, no inquests have yet been held; while 18 deaths had taken place in the 1990s in respect of which only one inquest had been held. The court ruled that the 22 year delay in establishing an inquest into the killing of Martin McCaughey and Dessie Grew could be defined in three clear phases. The first, from 1990 to 2002, had been categorised by “inordinately long” periods of inactivity during which some disclosure was made by the RUC and PSNI, which was later shown to have been inadequate. The second period lasted from 2002 until March 2012, when an inquest into the killings finally opened. This period was characterised by a series of legal challenges launched by the Grew and McCaughey families, which the judges said had been “demonstrably necessary” to drive forward the inquests and to ensure the clarification of important aspects of coronial law and practice including, most notably, the rights of the next-of-kin. The third phase came in 2000, when the introduction of the Human Rights Act raised questions of relevance to coronial law and, notably, its application to police investigations in to killings which took place before 2000. This issue was not finally resolved until a Supreme Court (formerly House of Lords) judgement in May 2011, which ruled in favour of the Grew and McCaughey families. The families had also challenged the impartiality and independence of the police investigation into the killings. The court ruled that it could not decide on the issues, which are still subject to ongoing judicial review challenges here. 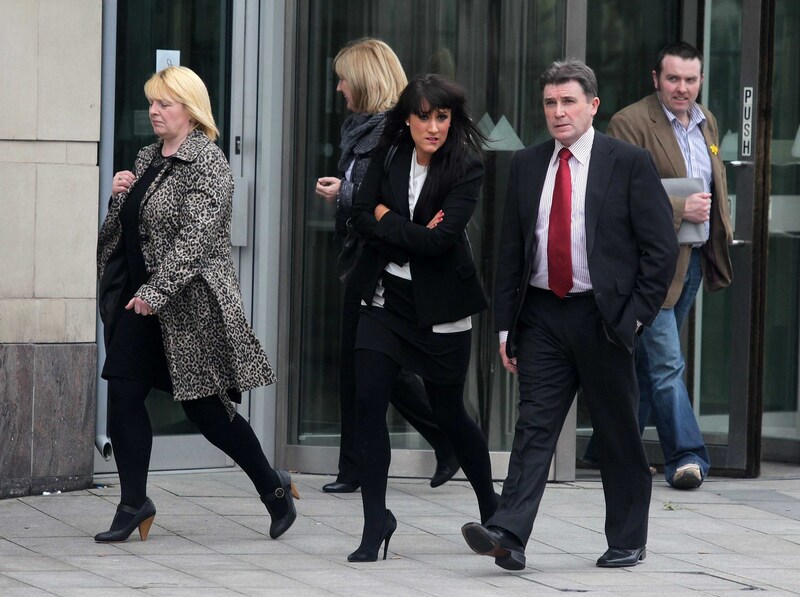 Judges unanimously found that the British government had violated the Article 2 rights of the Grew and McCaughey families by failing to address the excessive investigative delay. Bulgarian judge Zdravka Kalaydjieva said she remained “unconvinced” that the RUC investigation into the IRA men’s deaths had been intended to ‘lead to the identification and punishment of those responsible’. “The absence of any plausible explanation for the failure to collect key evidence at the time when this was possible, and for attempts to even obstruct this process, should be treated with particular vigilance,” she said. “In fact the period of demonstrated, if not deliberate, systematic refusals and failures to undertake timely and adequate investigation and to take all necessary steps to investigate arguable allegations under Articles 2 and 3 seem as a matter of principle to make it possible for at least some agents of the state to benefit from virtual impunity as a result of the passage of time’. English judge, Paul Mahoney, said it seemed “somewhat anomalous” that, 23 years after the deaths of the IRA men, their families’ substantive complaints could be legally characterised as “premature”. “However, the position is so precisely because the innumerable and excessive delays in the inquest proceedings prevented the investigative process from beginning promptly and from being carried out with reasonable expedition. For this reason, even before the completion of the applicants’ civil action and their latest judicial,” he said. “This judgment has vindicated the position of the families, describing their repeated successful legal challenges to secure disclosure of all relevant documents as ‘demonstrably necessary’ in order to progress the inquests and to define important points of law relating to inquest procedure in Northern Ireland. The Committee on the Administration of Justice (CAJ) gave evidence to the court in the Grew and McCaughey case. Welcoming today’s verdict, CAJ spokeswoman Gemma McKeown said: “We have consistently raised concerns about the capacity of the current mechanisms put forward to deal with legacy cases. The issue of endemic delay in inquest proceedings is only one obstacle facing many families seeking to find the truth about the death of their loved ones. “The UK government must now take immediate steps to remedy the structural deficiencies which currently prevent effective and prompt investigations in such cases or it will continue to violate its obligations under the ECHR." In 2001 the British government was fined for failing to properly investigate the deaths of 10 IRA men shot dead by the security forces. In an effort to ensure that it later complied with its Article 2 commitments the government gave the Police Ombudsman powers to investigate killings carried out by police. In 2005 the Historical Enquiries Team (HET) was established to investigate more than 3,000 troubles-related killings, including those carried out by members of the security forces. However the government’s adherence to Art 2 has been called into question in recent years. That report led to the premature resignation of Mr Hutchinson as Police Ombudsman. In December 2012 Dr Michael Maguire, who replaced Mr Hutchinson, announced that he was quashing his predecessor’s investigation into a 1994 UVF attack on the Heights Bar in Loughinisland, following allegations that the role of at least one police informer had not been properly investigated.